Apparently the great divide in modern Australia is between the "taxed and the taxed-nots". Young Australians have grown up in a culture of entitlement and it’s going to send the country broke, according to Treasurer Scott Morrison. 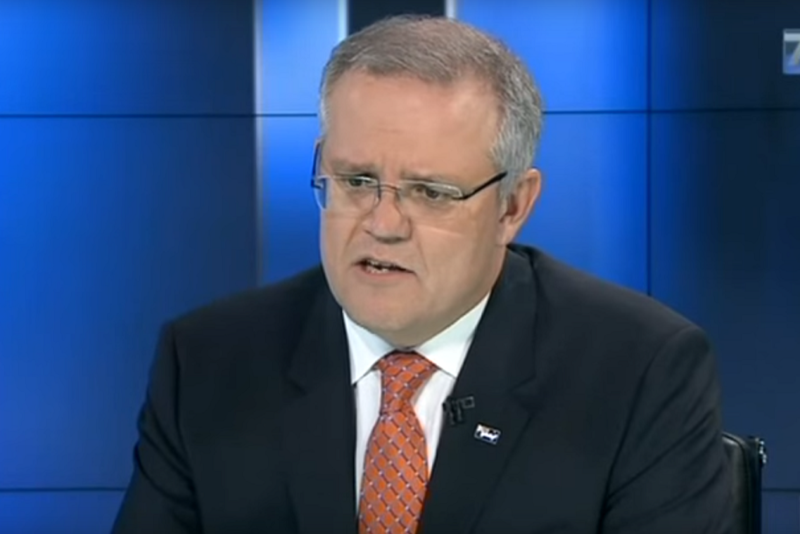 In a key economic speech delivered today, Morrison warned that unless spending on welfare and health was reined in, the country was heading towards $1 trillion worth of public debt. Apparently the great divide in modern Australia is between the “taxed and the taxed-nots”. No, Morrison isn’t talking about multi-billion dollar corporate tax avoidance, but the fact that some Australians receive more in government benefits than they pay in tax. Quick fact check Scotty: the proportion of Australians on welfare is actually falling and the number of families receiving government benefits is likely to decrease as well. Here’s the other thing: the fastest growing area of welfare expenditure is actually the aged pension. So there’s really no evidence to suggest our growing public debt, if it is a problem at all, is somehow the fault of over-entitled young people. But according to Morrison, because we haven’t lived through an economic recession, we’re apparently too complacent about Australia’s economic challenges. Actually, given the fact that student debt is at record highs, graduate unemployment is at the highest level ever recorded and starting salaries are at record lows, I’d say we know all too well about economic challenges. The Treasurer did actually get one thing right. We do have a problem with the “taxed and taxed-nots” in this country, but it not’s the fault of young people overly reliant on welfare. It’s got more to do with the fact that we’re a relatively low-taxing country. According to the Treasury (you know, the department that Morrison apparently runs) Australia is one of the lowest taxing nations in the OECD, and the proportion of tax we collect is actually falling. Good to see @ScottMorrisonMP going after #taxednots like @google @AppleMusic and his mates at @newscomauHQ … that what he means, right? According to a recent study corporate tax avoidance costs the Australian government $6 billion a year. That’s billions of dollars that could be funding our schools, hospitals, and universities. If Morrison is really worried about the economic sustainability of the country he should probably spend his time and energy getting big companies to pay their fair share of tax instead of wrongly blaming young people for being reliant on welfare.